Aiming to make inroads into the state in the 2019 General Elections, BJP chief Amit Shah will launch the first yatra in Cooch Behar on December 7. With elections in five states out of the way by December 7, the Bharatiya Janata Party is focusing on West Bengal, where it plans to hold four rath yatras in December ahead of the 2019 General Elections. The yatras will traverse every district in the state and all its 42 Lok Sabha constituencies. 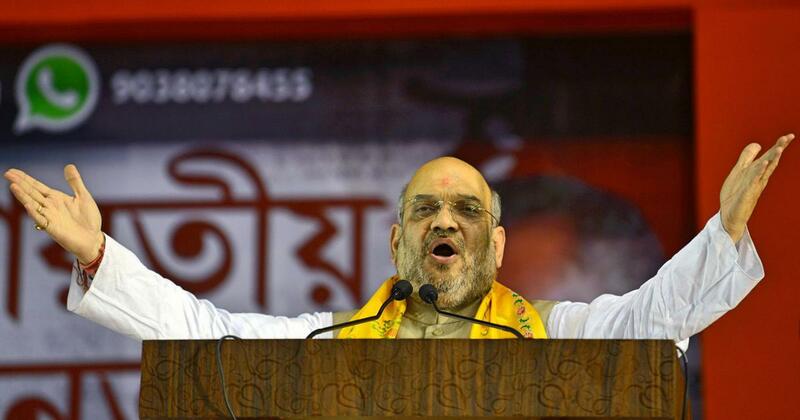 Party president Amit Shah will flag off three yatras – in Cooch Behar on December 7, Gangasagar on December 9 and Tarapith on December 14. These will travel across the state over around 45 days before merging in Kalyani in Nadia district and continuing as the fourth yatra through Kolkata. During these 45 days, Prime Minister Narendra Modi is likely to address four rallies – at Durgapur, Malda, Serampore and Krishna Nagar. Starting with the Ram Rath Yatra led by BJP leader LK Advani in 1990, rath yatras have constituted a crucial part of the BJP’s mass outreach formula across India and have led to electoral dividends for the party in several northern and central Indian states. 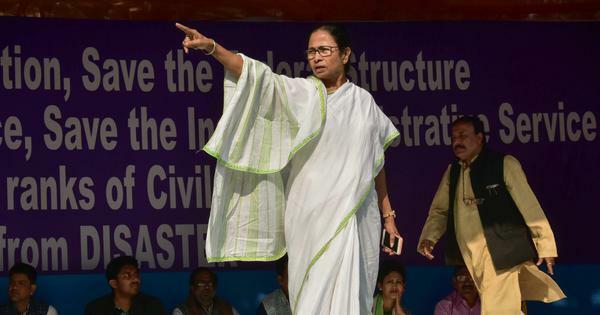 They are, however, new to West Bengal, where leaders across party lines have accused the BJP of trying to foment communal polarisation by introducing practices alien to the political culture of the state. In response to the saffron party’s proposed outreach in the state, the ruling Trinamool Congress has announced its own counter rallies, which will follow the route of the BJP’s yatras just a day apart. While the BJP has christened its road shows Ganatantra Bachao (Save Democracy) yatras, the Trinamool Congress is calling its campaign Pavitra (purity) yatras. The BJP’s yatras – their places of origin, routes and plans along the way – indicate that the saffron party is banking on religion to gain the support of the people of Bengal, where it is yet to make significant political inroads. The party currently has two Lok Sabha seats in the state – Asansol and Darjeeling. Through these yatras, the party seeks to draw from, as well as provide further space for, several organisations of the Sangh Parivar that have been working actively in several areas of the state, particularly over the last decade. Religion has emerged as the cornerstone of popular politics in West Bengal over the past 10 years. Much of the groundwork in this regard has been done by organisations connected with the Sangh Parivar, which have actively promoted celebrations of North Indian festivals like Ram Navami and Holi in West Bengal. Other Hindutva organisations such as the Hindu Samhati have vowed to bring back militant Hinduism courtesy deities like Kali, who is one of the primary deities in West Bengal along with Durga and Shiva. In areas of Birbhum district that adjoin Jharkhand, new RSS camps are opening up in villages every week or so, said Shubhopratim Roychoudhury from AAMRA (An Assemblage of Movement Research and Appraisal), Kolkata, a study group on Conflict and Coexistence. The BJP’s choice of these important religious centres as the source of its yatras indicates the importance the party has given to religion in its battle for electoral supremacy in the state. “It is part of a larger attempt to define a new religio-political culture in Bengal,” said Matin. The Trinamool Congress has actively participated in defining the contours of this emerging culture through its financial grants to Durga Puja committees and promotion of Milad-un-Nabi (Prophet Muhammad’s birthday). The BJP’s rath yatras, a first in a state where “communal harmony” remains an abiding myth among most political parties, constitute a key event in this narrative. The BJP claims the yatras are being held to protect democracy from the Trinamool Congress. “The agenda of the yatras is to expose the Trinamool Congress’ blatant attempts to throttle democracy in Bengal, as was evident during panchayat polls,” said Sayantan Basu, one of the BJP’s four general secretaries in the state. The raths or modified campaign vehicles, equipped with hydraulic lifts, will be brought in by the BJP’s central team. Party spokesperson Saptarshi Chowdhury said all important religious figures, past and present, along the routes of the yatras will be venerated to enhance the party’s appeal among local residents. “We will garland statues of religious gurus, visit their houses, and provide stage space to prominent intellectuals and religious heads,” said Chowdhury. Each rath will be accompanied by an information technology team that will regularly put out information about the yatra, said members of the BJP. The state BJP’s IT cell will then amplify this information to generate a buzz on social media. Bangla Pokkho’s Chatterjee fears shadow accounts on Facebook will use this information to sharpen communal polarisation. Several activists and researchers told this correspondent that shadow accounts and WhatsApp groups have been involved in almost every major communal incident and festival in the state recently. Typically, such shadow accounts regularly post photographs of women, fast bikes and parties to attract followers, with communal content posted intermittently. This correspondent had noticed several such accounts spreading religious hatred following riots in Asansol in March. Roychoudhury stressed that in the rural areas, traditional word of mouth information networks still hold sway in terms of determining political affiliation, especially among older people. But even such networks are gradually taking their cues from social media, courtesy younger members of the community.